The Jabari family lives in the Hebron neighborhood of Wadi Al Hussein, between the illegal Israeli settlements of Kiryat Arba and the Giva Ha’avot. Since 2001, the family has been fighting a legal battle to regain control of their land after settlers illegally built a “Synagogue Tent” on it. “Problems started very early but increased after the second intifada. Settlers tried to convince my father to sell the house. My father said no, they threatened him. They said this is Israeli land, not Palestinian. But this is my father’s land, for many generations”, Ayat, one of the Jabari daughters says. On four occasions since 2008, Israeli courts have ordered the tent to be removed, but after each time the settlers have rebuilt it. The family’s case is still going through the court system. “When we first came here they [the settlers] stabbed my little brother in the stomach, then hit another of my brothers on his eyes. Another time they pushed my father from the hill and he broke his shoulder. Every day, every night they throw stones at us”, Ayat says. She explains the settlers want the land so they can connect up the different settlements in the city center with those on the outskirts. The story of the Jabari’s family, sadly, is representative of that of many vulnerable Palestinian families in Hebron living close to Israeli settlements, civilian communities established on Palestinian land occupied by Israel since the 1967 Six-Day War. Settlements are illegal in international law, as set in Article 49 of the Fourth Geneva Convention, which prohibits an occupying power from deporting or transferring parts of its own civilian population into the territory it occupies. 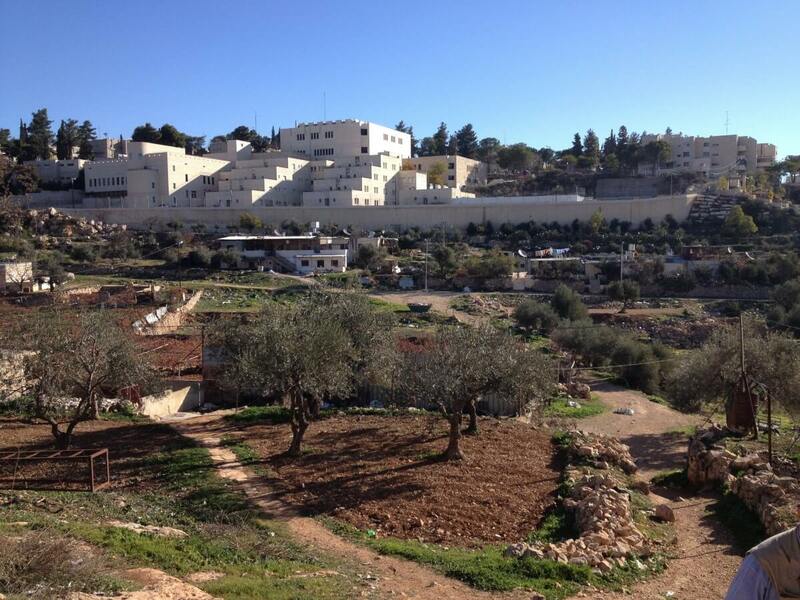 Hebron is the only Palestinian city in the West Bank, besides East Jerusalem, that has settlements in its city center. 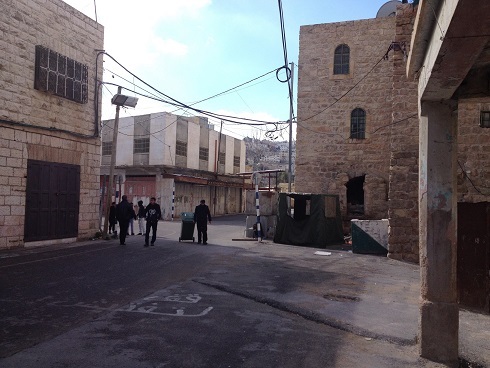 Between 500 and 800 settlers live in Hebron 2 (H2), the Israeli controlled center of Hebron, in a number of separate settlements and outposts. 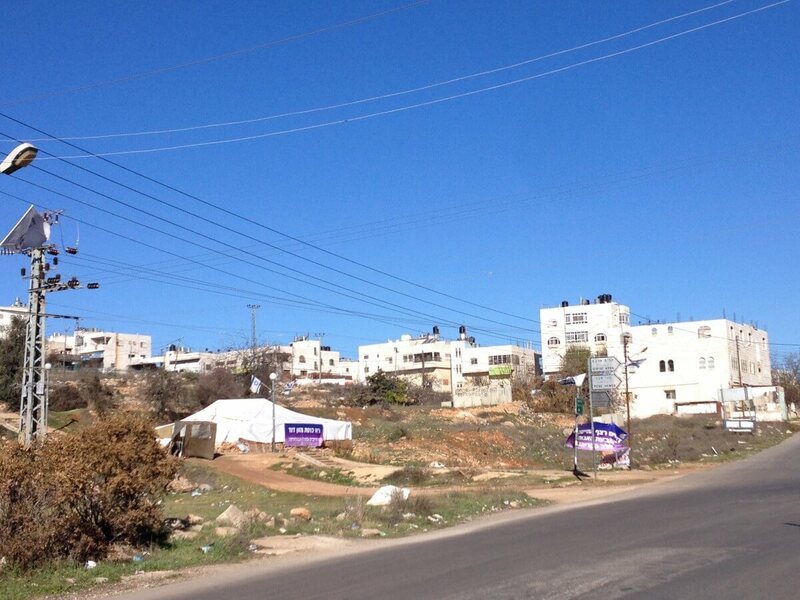 Kiryat Arba, the largest of the settlements on the outskirts of Hebron, has a population of approximately 8,000 settlers. 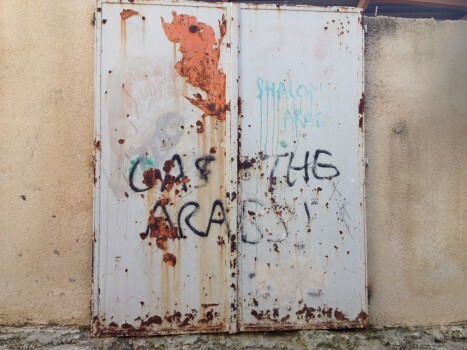 It was established in 1968, and was the first Israeli settlement in the West Bank. 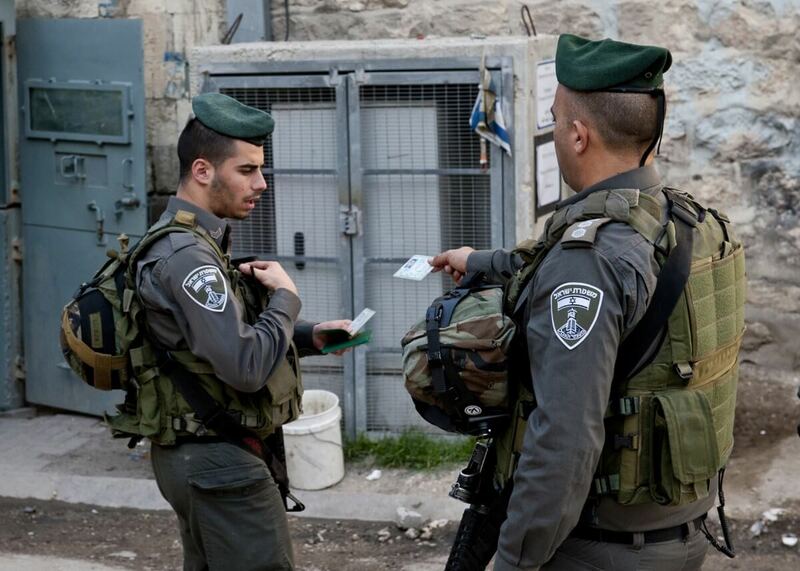 Several hundred Israeli soldiers are posted in Hebron, allegedly to protect Israeli settlers living there against possible attacks by Palestinians. Palestinians living close to settlers face serious challenges in accessing basic health, water and sanitation services as well as in accessing work, education and worship. 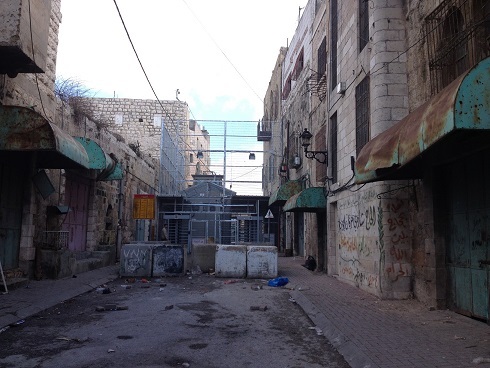 Many streets are closed to Palestinian motorists and are accessible only by pedestrians, forcing residents to carry provisions such as food, water and cooking-gas canisters by hand and pushcart. Ambulances are often unable to reach households due to street closures, and some schools can be reached only on foot. 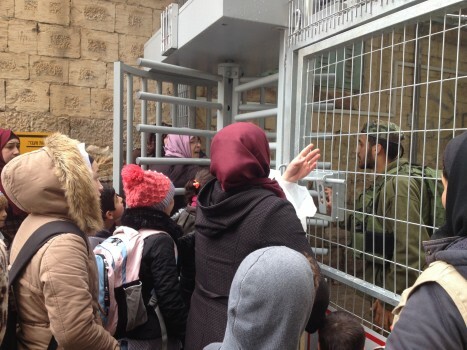 Children and teachers are required to go through daily searches at checkpoints. 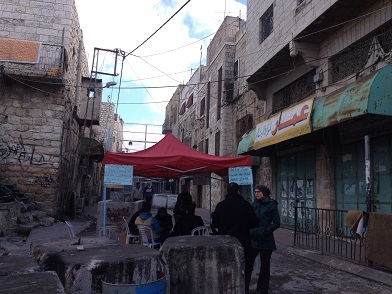 Whilst these measures are justified by the Israeli authorities as necessary to protect the settlers residing in the city, they hinder not only the urban development of Hebron, but also the ability of Palestinian residents to live a normal life. 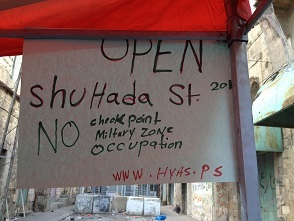 “Nobody can drive on Prayers’ Road (the main road going through Ayat’s neighbourhood and connecting Kiryat Arba with the old city of Hebron) or in any other part of Wadi Al Hussein”, explains Ayat. “From 2002 to 2005 people could not even walk here. This street is closed, we people cannot walk freely or drive. Every day children go to school walking up the hill, but this is dangerous in winter because of the snow and the rain. There is no pavement there. But walking on the main street is even more dangerous. Here we have four checkpoints and people need to go through them every day. We are surrounded by three settlements”. In addition to access and movement restrictions imposed by the Israeli authorities, Palestinians in H2 also face harassment at the hands of Israeli settlers, including property damage and confiscation, physical attacks, verbal abuse, and the intimidation of children on their way to school. 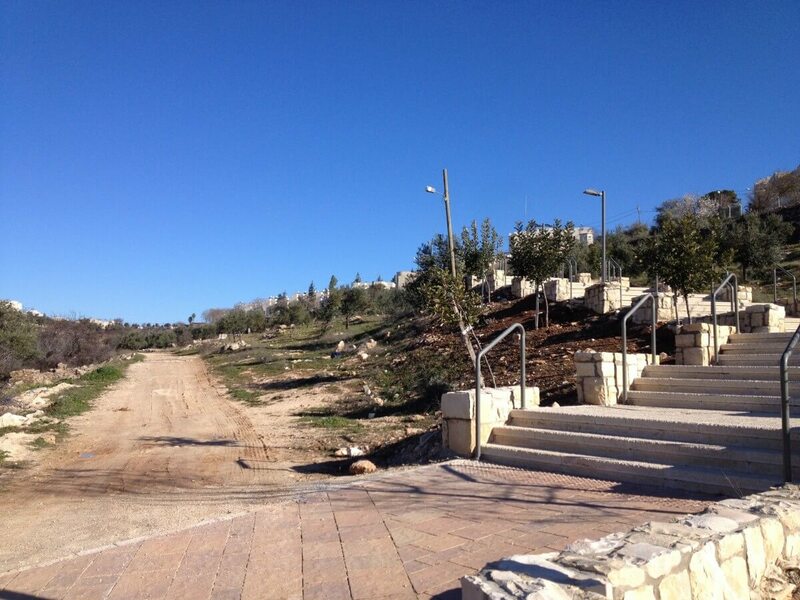 “Today people do not walk here because they are afraid of the settlers,” admits Ayat. “Sometimes when settlers see women with hijabs they try to take these away. People from other parts of Hebron are afraid to come here. Internationals are afraid too. We do not have any visitors, and friends coming here. Before the checkpoints they used to visit us. We live in a jail, I am sad for my family, the children cannot walk on the street, my family does not know what is outside. I imagine Palestine in a jail. Life here in H2 is different from that in the rest of Hebron but in reality we are all in jail. Put me in your suitcase when you leave?”. In 2014 the United Nations Special Rapporteur on human rights in Palestine, Richard Falk, stressed that settlements in H2 have led to severe restrictions and an atmosphere of tension that negatively affects all Palestinians. The lack of resources to carry out comprehensive investigations and the obligation for Palestinians to file complaints and testify at police stations inside Israeli settlements, also deter victims of violence from lodging complains against settlers. According to the United Nations Office for the Coordination of Humanitarian Affairs, the large majority of complaints about settler violence filed in recent years have been closed by the Israeli authorities without indictment. The United Nations calls on Israel to respect and implement the humanitarian needs and human rights of Palestinians in Hebron, including their right to freedom of movement and their right to be free from discrimination. It also calls on the authorities to ensure that those responsible for violence and intimidation are held accountable under Israeli law. “Why nobody does anything to help here?”, asks Ayat. “We are human beings, this is why I stay. What else can I do? I hope to do something, to give life back to this area but it is not easy… it is so quiet here, can you hear?”. I nod, as I hear the silence in the neighborhood from her house. This article was originally published on Mondoweiss. Samir (not his real name) is a friendly young man from Hebron. He has traded goods since he was 17 years old. He has a dream: to leave Palestine. I ask him why so he tells me his story. “I was sleeping when they came, they removed my blankets and put me in handcuffs. When I was dressing up a soldier hit me on my back with a rifle, then ordered me to show my ID. They blindfold me and put me in a truck,” Samir says. Samir is one of the many Palestinians to have experienced administrative detention, a procedure that allows the Israeli authorities to hold prisoners indefinitely without charge or trial, and on the basis of secret evidence which means prisoners have no way of knowing what they are re accused of. He was detained without charge in a prison in Ramallah, and released after six months with no conviction. Samir still does not know the reason for his detention. During his time in prison he was approached by somebody he believes to be a collaborator. “He was trying to get information from me, to confuse me. Once he accused me to have killed a Jew and to be smuggling weapons. Another time he told me I was in prison because I wrote something against Israel on Facebook. But I do not know why I was there. Maybe for a post saying I have a dream: free Palestine. I do not know. The Israeli soldiers just take people from the street with no reason,” Samir explains. 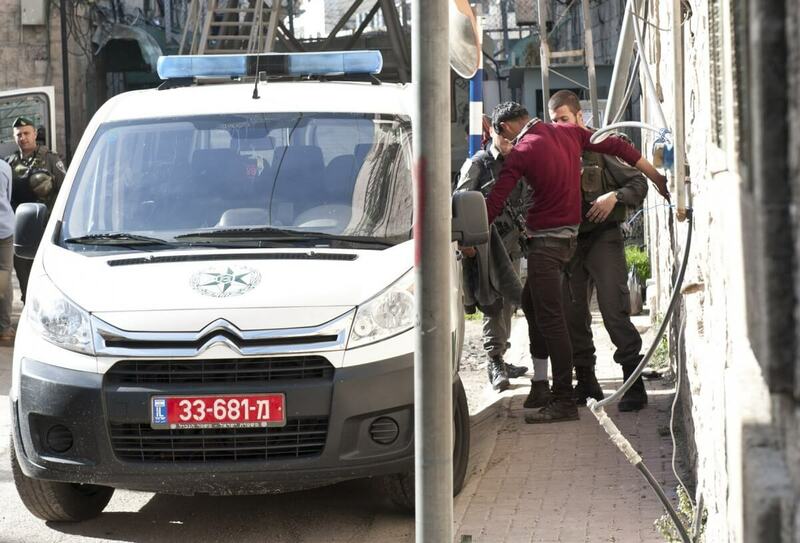 As described by OCHA, the UN’s humanitarian agency, prisoners held under administrative detention are routinely denied due process rights in the Israeli military court system. They are not adequately informed of the charges against them or given access to evidence allowing them to refute these charges. The prisoners’ lawyers are similarly denied the time and resources necessary to prepare an adequate defence. Interrogations are often carried out in the absence of any legal representation and marked by abuses such as beatings or sleep deprivation, as well as threats such as having the prisoner’s family members arrested. “In prison I did not have any rights. Outside I am a man, but inside they destroyed me. This is why I want to leave this country,” Samir says. His voices shakes and his eyes redden in this moment. Israel argues that it uses administrative detention only as an imperative security measure to prevent a threat to society. According to the Israeli human rights organisation B’Tselem, however, the Israeli authorities uses administrative detention to detain Palestinians for their political opinions and nonviolent political activity. It also uses it as an alternative to criminal proceedings, most often when the authorities do not have sufficient evidence to charge an individual, or when they do not want to reveal their evidence. B’Tselem reports that as of Dec 2015, 584 Palestinians were held under administrative detention in Israeli prisons. The United Nations High Commissioner for Human Rights calls on Israel to end its practice of administrative detention and to release all administrative detainees or to promptly charge and prosecute them in accordance with the standards of due process set in international law, for the offenses they allegedly committed. Article 9 of the International Covenant on Civil and Political Rights (ICCPR), to which Israel is a state party, establishes the right to liberty and security for all people and the prohibition of arbitrary arrest or detention. Whilst international law allows the use of administrative detention in emergency situations, states must follow specific rules in its use, for instance by ensuring a fair hearing at which the prisoner can challenge the reasons of the detention, and guaranteeing that this is ordered only on an individual, case by case basis and without discrimination of any kind. Furthermore, they must inform the individual concerned “at the time of the arrest, of the reasons for his arrest” and of any charges against him”, as established in Article 9.2 of the ICCPR. They must also grant all prisoners humane treatment and fundamental judicial guarantees, such as the right to defence as set in Article 72 of the Fourth Geneva Convention and the right to appeal as established in Article 78 of the same convention. Finally, they must guarantee the application of law and standards for fair trial, as established in Articles 10-11 of the Universal Declaration of Human Rights and Article 14 of the ICCPR. “Why me? I am just a normal guy”, Samir asks me before leaving. Sadly, I cannot answer that question. This article was originally published on Mondoweiss and the EAPPI UK & Ireland website.